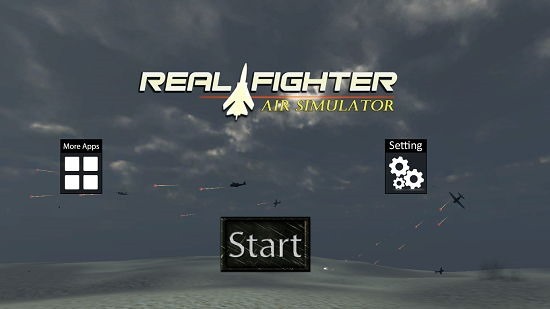 Real Fighter Air Simulator is a free app for Windows 8 and 8.1 which allows you to play as the pilot of a fighter jet who has to shoot down incoming enemy planes and enemy bases. The game is designed in a nice interface which makes for a smooth gameplay experience, and the controls are pretty easy as well. 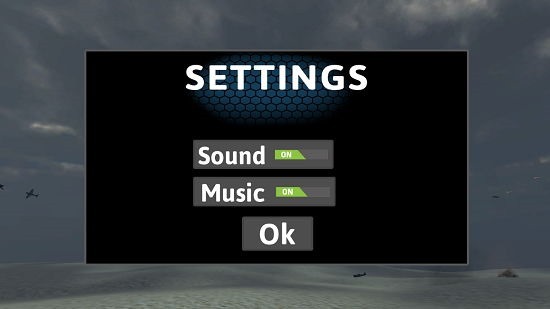 Upon running the game, you will be able to start the game or access the game’s settings via controls that allow you to do the same which are neatly placed in the main screen of the game. The game does not have any ads and runs very smoothly. 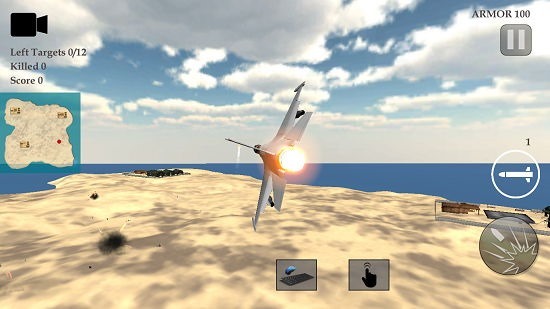 Real Fighter Air Simulator is available for free from the Windows App Store. When you install and run the game on your device, you will be presented with the below screen which is the main interface of the game. Clicking on the Settings button will allow you to tweak the game’s sound settings as can be seen below. Just click on the OK button when done and you will be taken back to the main screen of the game. When you click on the Start button, you will be brought to the gameplay interface wherein the first thing you’ll see is the details for controls. 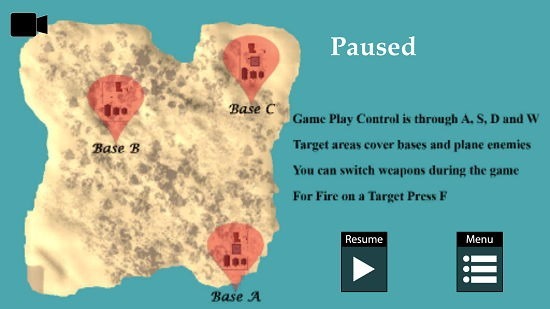 You can also see the enemy bases in the above screen marked in red which you have to destroy. Click on the Resume button to proceed with the game. You can see the gameplay in the screenshot above. To pause the game, you can click on the pause button at the top right, and you can keep track of the enemies you’ve destroyed at the top left. You can click on the camera button to change the viewing angle, and that’s about it! 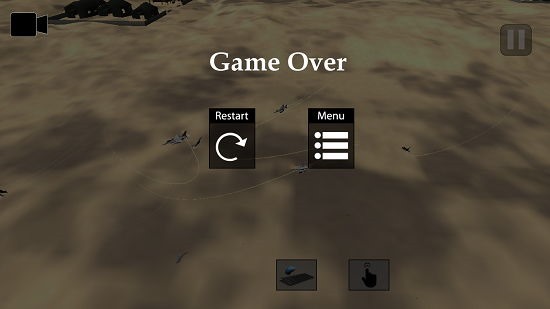 If you crash on the ground or are shot down by inbound bullets or missiles, it’s game over. This wraps up the main features of Real Fighter Air Simulator for Windows 8 and 8.1. Real Fighter Air Simulator is a well-designed fighter plane simulator app for Windows 8 and 8.1 which makes for an excellent download on all devices running Windows 8 or above. You can get it from the link below. Get Real Fighter Air Simulator.